A recent order denying summary judgment allows a trial to move forward on behalf of DeKalb County School District teachers who sued as a result of a liquidated damages provision in their teacher contracts. 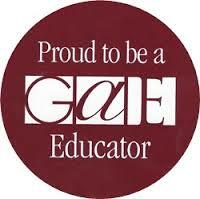 Good Georgia Education Lawyer is proud to be an attorney affiliate of the Georgia Association of Educators (GAE). During these challenging times for educators, Williams Oinonen LLC recommends that every Georgia teacher and administrator (including Superintendents, of whom Williams Oinonen LLC has successfully represented) join GAE.